If you’ve read our recent post Why Videos and When to Use Them then you are probably pretty excited about adding video to your marketing plan. With 74% of B2B marketers reporting that video now converts better than other content types,1 it’s no surprise that companies are investing in videos. Now that you’ve decided you want to create a video, where do you start? The first step is to determine the purpose of the video. Who are you trying to target? What are you hoping the audience will get from watching it? Are you creating a customer testimonial video, an on-demand product training video, an explainer video or a corporate overview? With 65% of executives visiting the marketers’ website and 39% calling a vendor after viewing a video2, it’s important to have a clear message and a clear call-to-action. How are you going to measure the success of your video? Once you know the answers to these questions you are ready to source a video vendor. Who will create the video and what’s included? Unless you have the skills in-house, most companies partner with a video production team to create their video. Be sure to prepare a brief providing the answers to the questions above. It is also important at this stage to decide on the length of the video. Regardless of the format, the longer the video the more expensive it will be. But budget isn’t the only reason to keep your videos short. Since 5% of viewers will stop watching a video after 1 minute and 60% by 2 minutes3, it is recommended to keep your video to a minute or shorter if possible. There are many elements that can be included in your quote. Be sure to clarify what the production team will provide. Are they including script writing? Animation? Sound effects? Royalty free music? Voiceovers? Be sure to ask for samples of other work that they have done. This will show you the quality that you can expect for your final product. What are the stages for creating a video? Usually once you engage a video production company you will go through a discovery phase. This will involve a briefing call where you can expand on your vision and expectations and answer questions that they may have. Ultimately you want to create a roadmap for what you are trying to achieve and make sure that the message and direction are clear. Once you’ve completed that part it’s time to start putting the pieces together. Usually the script writing is the first step. This will confirm the message and the length. Following the script approval, you will work on the visual direction and create storyboards for the scenes. If you are creating an animated video then you will want to see style samples at this point to provide feedback on the look and feel. Then you move into production. This would involve shooting and editing if it’s a live video or drawing and animating for an animated video. If you go with the latter then you would also need to finalize the voiceover at this stage as well. Lastly, you will review your video and insert music or sound effects if/where it’s appropriate to create a polished finished product. I’ve got a video, now what? Once you have your video completed and you are ready to share it with the world, you need to determine where you will host it and how you will promote it. Will you load it to YouTube or Vimeo? Will it be embedded on your website? Will you promote it through social media channels? It will take a lot of time and energy to create the video so be sure to spend a lot of time and energy promoting it. 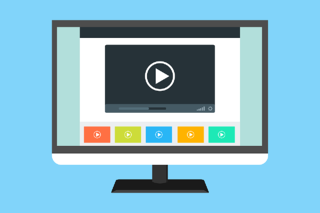 Videos are just one great tactic to include in your B2B marketing plan. Download our eBook to get valuable tips and inside information on videos and 16 other great tactics.